Frutin's Juice is a liquid naturally contained in fruit or vegetable tissue and is prepared by mechanically squeezing or macerating fresh fruits or vegetables. Our juices are also consumed for their health benefits as they are rich in vitamin C .
Being a most reliable organization, we are engaged in offering a wide range of Healthy Tomato Juice. 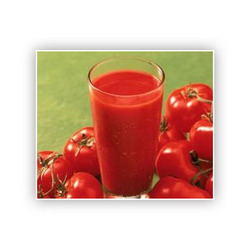 In order to keep pace with never ending demands of clients, our company offers Tomato Juice. Tomato Juice can be used as the base for fat free salad dressing and marinades. Tomato juice can also be mixed with your favourite juices. We Offer High Qulaity of "Tomato Soup". We offer high and fine quality Tomato Juices. 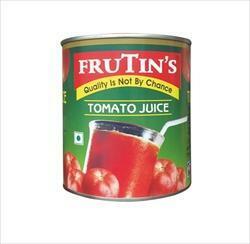 Our Tomato Juices have excellent nutritious value also used for preventing heart diseases. These Tomato Juices are very tasty and delectable. These are full of nutrition, freshness, aroma and vitamin C.
every sip of it has full of vitamin as it is nutritive and tasteful. The taste of tomatos is beside of you in contails and cooking with dimes. . .